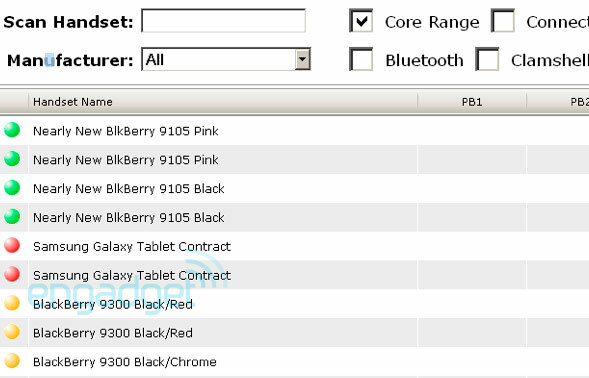 Samsung Galaxy Tablet P1000 Details Leaked, Unveiling In September? It has been a long time since I wrote about the vague Samsung Galaxy tablet rumors, but we finally have some more specific information. 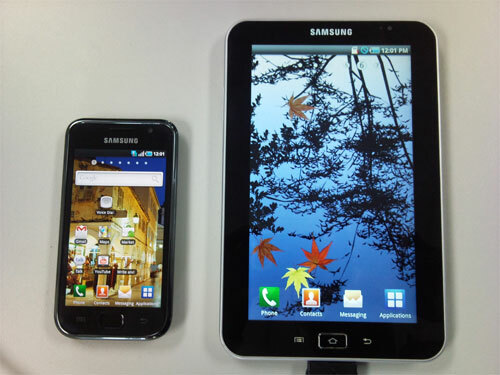 Samsung Firmware contends that they have received a copy of an Android 2.2 software build for the Samsung Galaxy P1000 tablet, and that some of the device's hardware can be determined from the leak. In addition, it appears that Vodafone UK will be one of the carriers of the tablet, and that Samsung might unveil it at the beginning of September here in Berlin. The Samsung Galaxy P1000 seems to have the same processor as the Galaxy S handset, so if the larger resolution is true, the P1000 will not be a quick as the Galaxy S.
Some members at XDA-Developers dug around inside the software and believe that the 480 x 800 resolution display will likely not be in the tablet, as the found evidence suggesting otherwise inside, indicating that a 600 x 1024 resolution screen would be more likely, as the Samsung Galaxy S has the 480 x 800 resolution screen, and it has a 4" screen, while the tablet supposedly sports a 7" screen. Engadget received an anonymous tip and picture showing what may be an entry in Vodafone UK's system for the Samsung Galaxy P1000 tablet. Engadget goes on to speculate that this may symbolize a version with 3G access. Engadget wrote that Samsung will unveil the product at IFA, an electronics trade show here in Berlin from September 3rd to the 8th. If everything goes as I would like it to, AndroidPIT will be there in person to cover the announcement. TalkAndroid notes that "the price and release date are still unknown" for the Samsung Galaxy tablet, but I'm sure that we will have an idea within the next two or three weeks. Well, keep in mind these are rumors. I did hear someone mention a dual-core in a comment, but I think that was wishful thinking, and not based on any evidence. the specs are not impressive at all. what's so difficult to have a dual core on it?